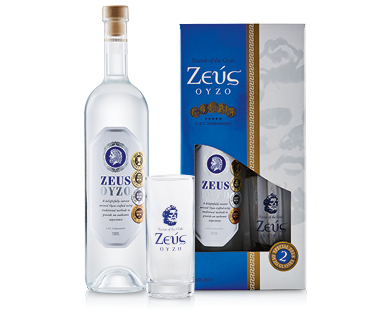 A gold medal-winning, Greek style liqueur made from a family recipe, passed down through the generations. Sweet anise aroma and typical liquorice-like flavours. Includes 2 branded drinking glasses.